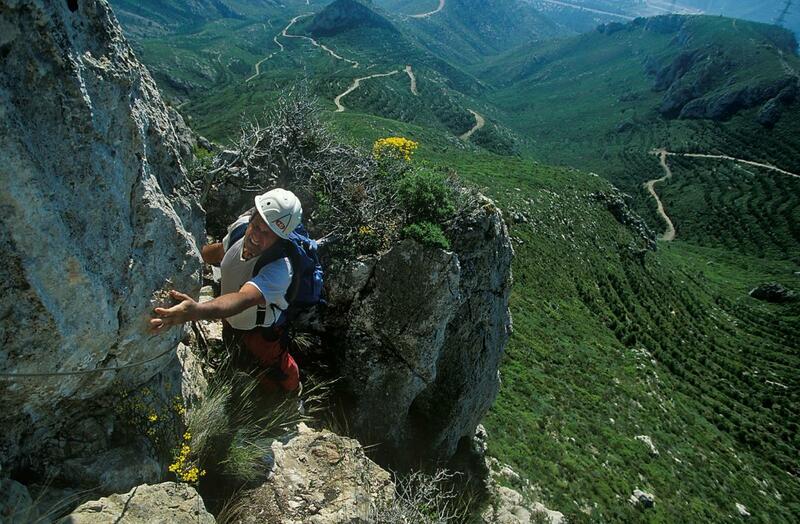 Via Ferrata Serres de Mestral , rated medium-low difficulty, has an elevation change over 300 m. The climbing to the els Avencs summit, where this via ferrata ends, mixes railing sectors, ladders, narrow paths and rappel. It is the perfect choice for those who are taking up this sport. It is stimulating and, at the same time, you can enjoy yourself watching the wild and rocky landscape of these mountains. The recommended equipment to do this via ferrata is: a helmet, harness, a security carabiner, eight spinner lishes and 40 m of rope. The duration of this via ferrata is around 5 h.